Grammy winning Engineer/Producer Ross Hogarth and session guitarist extraordinare Tim Pierce joined us to create an 8-part video series featuring an in-depth look at Hogarth’s electric guitar miking techniques. These videos are an excellent opportunity for recording engineers at all levels to learn new methods or brush up on some great guitar miking techniques. Recording Electric Guitar, with Ross Hogarth and Tim Pierce. Session 1 of 8. Divided by 13 amplifier into a Marshall 4-12 cabinet. 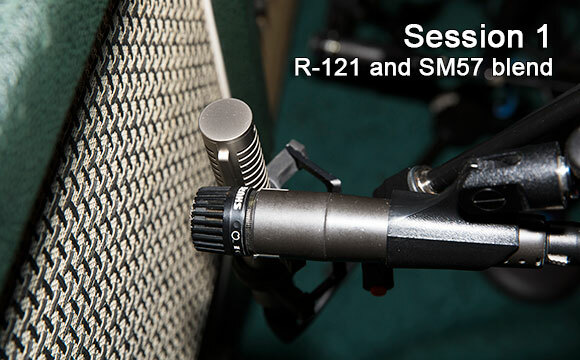 Introduction to blending a Royer Labs R-121 ribbon microphone with a Shure SM57 dynamic mic on electric guitar. Recording Electric Guitar with Ross Hogarth & Tim Pierce. Session 2. Marshall JCM 800 amplifier into a Marshall 4-12 cabinet. 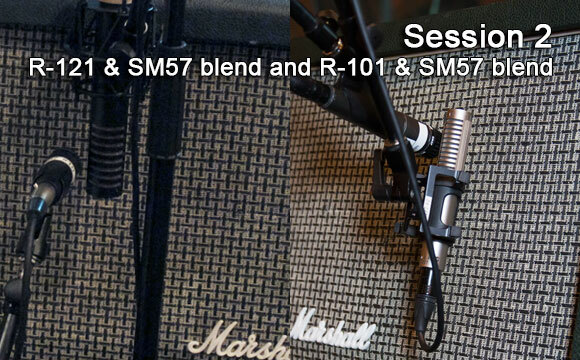 Two microphone blends are compared; a Royer Labs R-101 ribbon microphone and Shure SM57 dynamic mic, and a Royer R-121 ribbon microphone and Shure SM57 dynamic mic. Recording Electric Guitar with Ross Hogarth & Tim Pierce. Session 3. 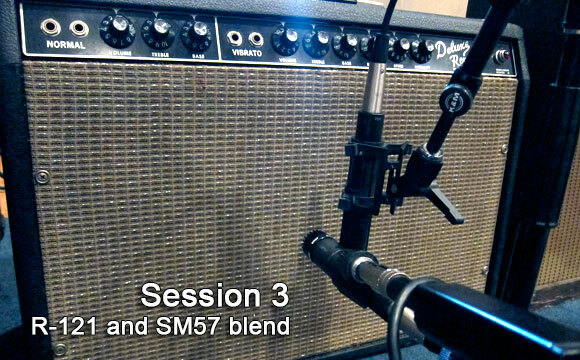 Blending a Royer Labs R-121 ribbon microphone with a Shure SM57 dynamic mic on a combo amp. Recording Electric Guitar with Ross Hogarth. Session 4. In this video, Ross demonstrates his dual microphone positioning techniques on a guitar cabinet, then uses an open speaker to clearly show where to put mics and why he likes these positions. Recording Electric Guitar with Ross Hogarth & Tim Pierce. Session 5. Supro combo with 15-inch speaker. 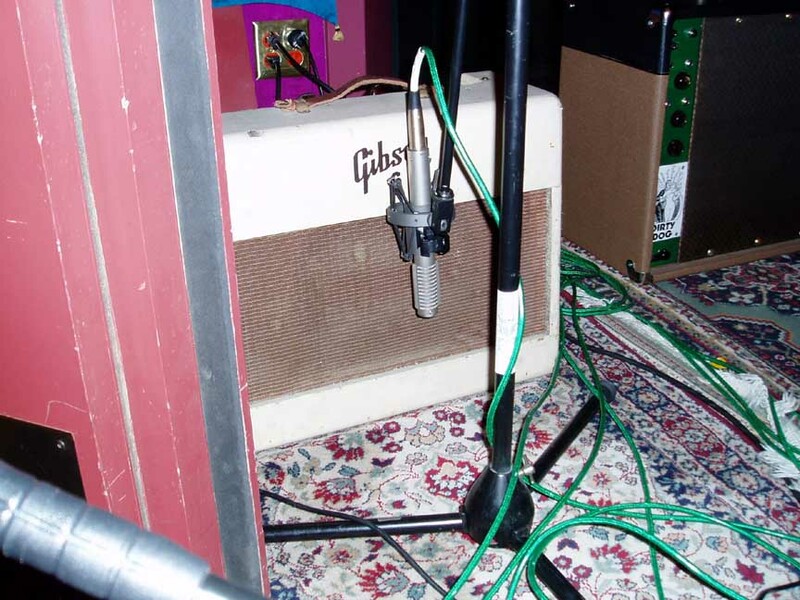 Another example of blending a Royer Labs R-121 ribbon microphone and a Shure SM57 dynamic mic, this time on a beautiful Supro combo amp with a 15-inch speaker. Very nice, warm vibrato on this amp. Recording Electric Guitar with Ross Hogarth & Tim Pierce. Session 6. Diezel head into a Marshall 4-12 cabinet. 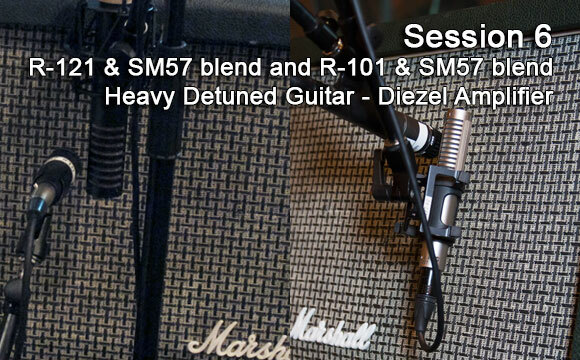 In this video with Tim playing drop-tuned guitar, we compare an R-121 & 57 blend and an R-101 & 57 blend on a cranked up Diezel head through a 4-12 Marshall cabinet. Recording Electric Guitar with Ross Hogarth & Tim Pierce. Session 7. 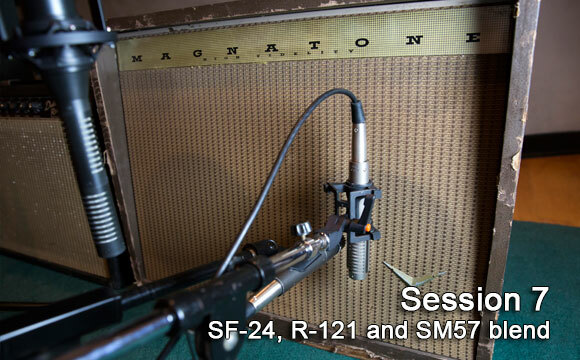 Ross uses the R-121 & 57 blend on a great old Magnatone stereo combo amp, with an SF-24 stereo ribbon microphone centered 1-ft back from the amp to capture excellent stereo guitar tones. Recording Electric Guitar with Ross Hogarth & Tim Pierce. Session 8. Supro combo with 6-inch speaker. 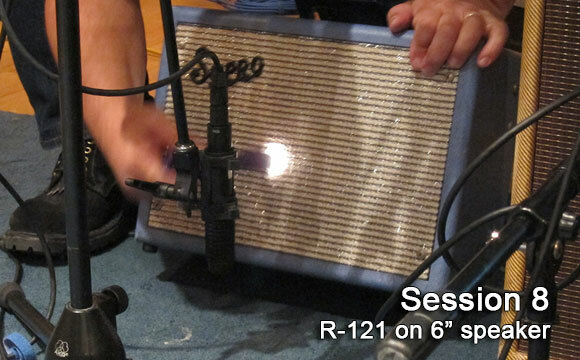 This video of an R-121 ribbon microphone on a Supro combo amp shows the amazing tone and size you can get from properly miking a small amplifier. 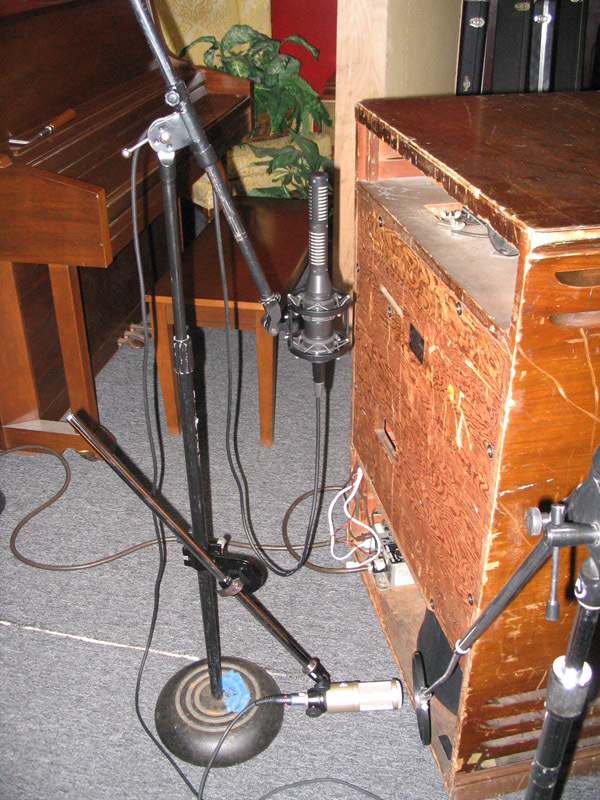 Engineer/Producer Ross Hogarth was one of the first engineers to ever use a Royer ribbon microphone. He has a large collection of Royers, including early serial numbers of all of our models due to his beta testing everything we’ve ever made. Over the years his contributions have been numerous and invaluable and we count him among our closest of friends. Ross gave us the following isolated tracks to help teach engineers what Royer ribbons are capable of doing in the studio. 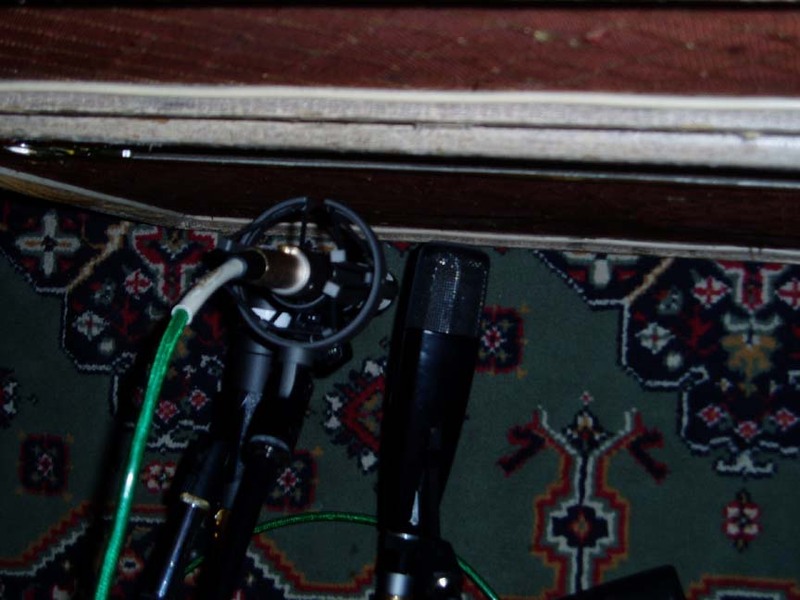 1) Isolated B-3 from the Damon Castillo Band, recorded on an SF-24 stereo ribbon microphone. B-3: SF-24 on top of the Leslie with a Heil PR-30 on the bottom. Recording chain: SF-24 into a Great River MP-2NV preamp, PR-30 into a Chandler preamp. Recorded by Ross Hogarth at Sunset Sound Factory, Hollywood, CA in 2007. 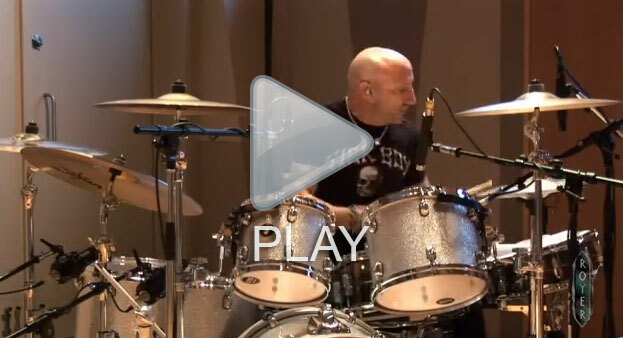 2) Kenny Aronoff playing drums. One compressed R-121, 3 feet high and 6 feet back from kit. Recorded by Ross Hogarth at Rumbo Recorders – Canoga Park, CA, B-room. This is a drum session broken down into isolated tracks cut on various Royers, with a final mix of all the Royer mics that were used on the session. This mix does not include the other mics that were used on the kit for the final drum mix. 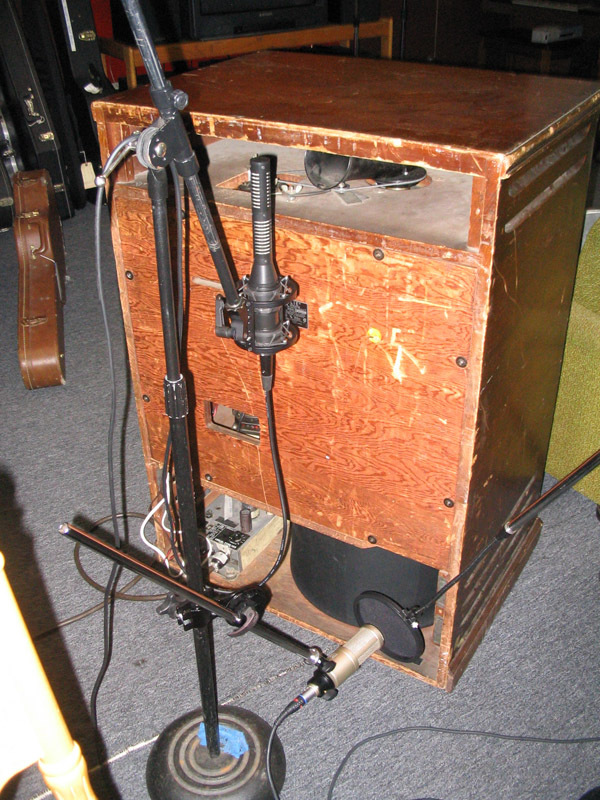 4) Bongos and Shakers from the Ryanhood song “All Right” recorded on an SF-24 stereo ribbon microphone. SF-24 12-inches above bongos and 8 inches from shakers. Recording chain: SF-24 thru Great River MP-2NV pre, to Crane Song HEDD converter. Recorded by Ross Hogarth at Track Records, North Hollywood, CA in 2008. 5) Stereo rhythm distortion guitar bed. 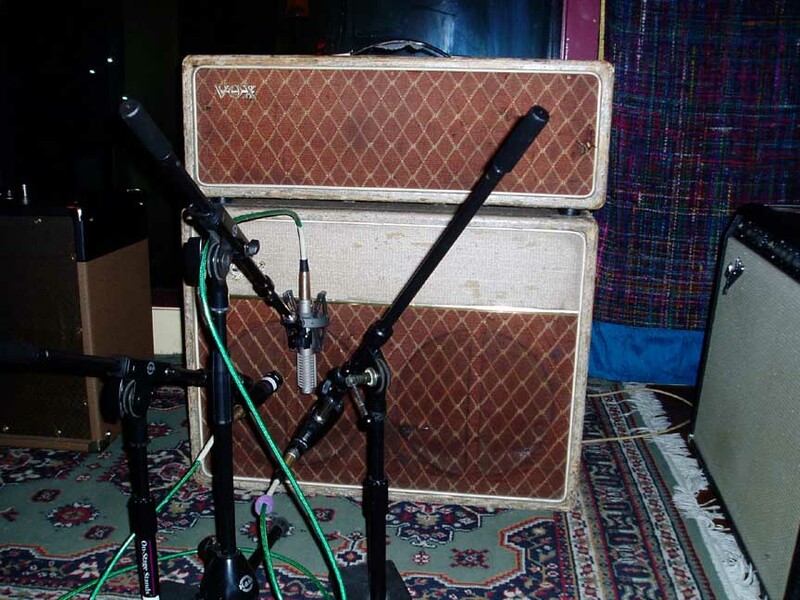 R-121’s on two Marshall 4-12 cabinets. 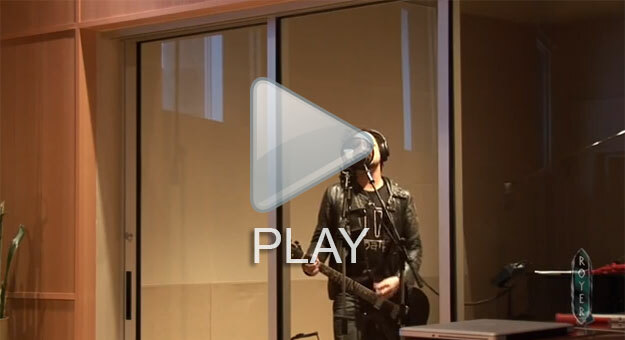 Recorded by Ross Hogarth in Pro Tools at Rumbo Recorders – Canoga Park, CA. Recorded at Stagg Street Studio, Van Nuys, CA. Multiple cello tracks played by Cameron Stone, recorded with one R-122. Recording chain: One R-122 into an API console pre. Recorded to Pro Tools HD. No compression or EQ. Produced, engineered and mixed by Ross Hogarth. Recorded at Rumbo Recorders, Canoga Park, CA. All tracks recorded to ProTools at 48K. 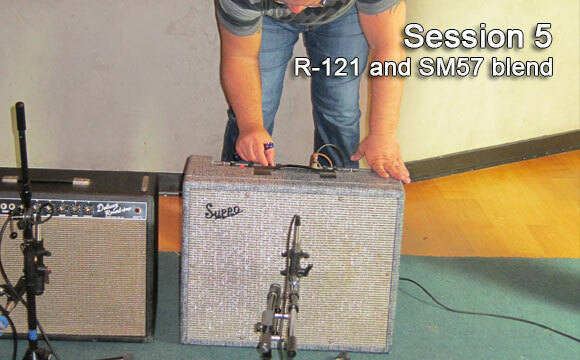 b) Electric Guitars: R-121, SM-57 and 421 clustered on one 4X12 cabinet speaker. 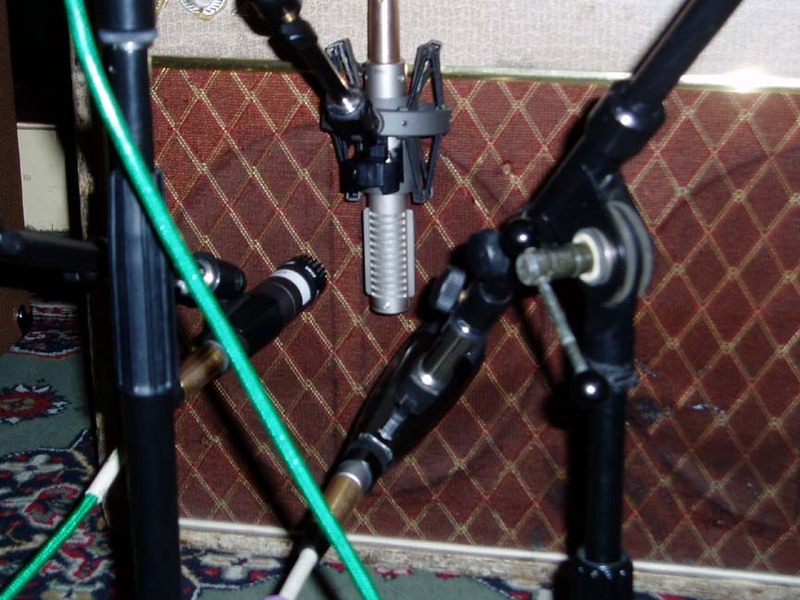 Recording chain: R-121 to V72 Telefunken tube pre, SM-57 and 421 to Trident console preamps. c) Drum rooms: R-121 & Coles 4038 blended. Coles 2 ft back from kit, 121 five ft back from kit. Recording chain: R-121 and 4038 to Trident console preamps, to Chandler EMI compressor. Recorded to ProTools at 48K. Recorded at NRG Studios, North Hollywood, CA. Recording chain: All R-121’s into Neve 1073 preamps. Drum room R-121 compressed with Chandler EMI. b) Electric Guitars: one guitar miked with an R-121 and SM-57 blended. 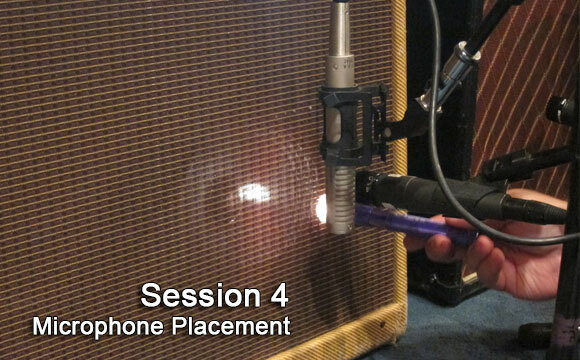 The wah-wha guitar is miked with an R-121 on a single 1-12 cabinet. c) Mono Drum Room: R-121 five ft in front of kit, 3 1/2 ft high.